Another classic New York skyline image, this time shot from the Brooklyn side of the East River. 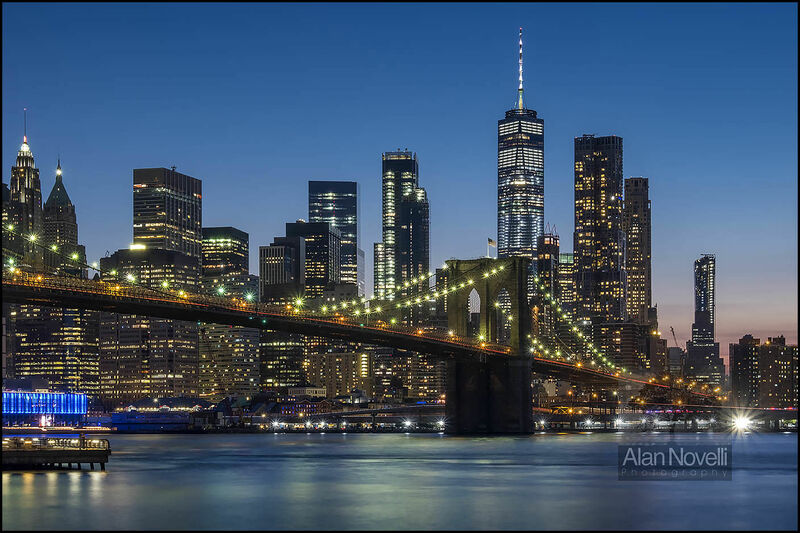 The Brooklyn Bridge is a favourite tourist attraction in New York and above it stands the One World Trade Center. Using a long exposure has both smoothed out motion on the river and allowed the recording of car light trails on the bridge. Also a small lens aperture has been used so that the bridge lights record as tiny starbursts.